Smash, build, and figh your way through different action-packed levels in LEGO Batman: Beyond Gotham (December 15 udpate) for Android. 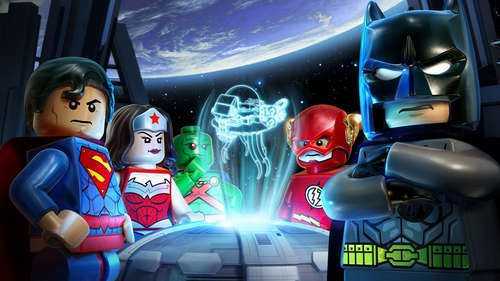 In this mobile port you're fighting in the Justice League watchtower, and hopping through iconic settings in the DC Universe to thwart Brainiac's evil plan to shrink the earth. Not long ago, we posted LEGO Ninjago Shadow of Ronin, but this one is a different beast altogether! 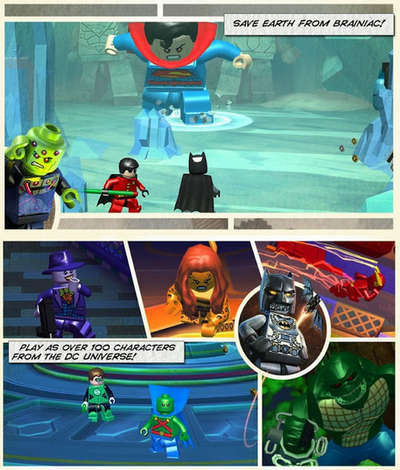 - Grant heroes even more powers with unlockable super suits such as Batman's bomb-igniting Demolition Suit, Robin's elite hacker Techno Suit, Cyborg's incognito Stealth Suit, and the Joker's tricky Decoy Suit. - 45 missions beyond Gotham: Adventure through an original story set in outer space and Lantern worlds that include Zamaron and Odym or visit familiar DC realms in the Hall of Justice, the Batcave, and the Justice League Watchtower. - Collect fan favorite characters such as Batman Beyond, the Dark Knight, and Batman ’66 throughout the year with plenty more on the way (coming soon)! - Switch between "Classic" and "Touch Screen" controls to find the play-style that suits you best. Gotham's reckoning is at hand, be the hero Gotham deserves! Just in time for the holidays, The Dark Knight pack makes its way to mobile with fan favorite characters from the hit movie trilogy including The Dark Knight (Batman), Two Face, Scarecrow, Bane (Dark Knight version), and The Joker (Dark Knight version). Why so serious? Install Apk, extract Sd Data and copy ‘com.wb.goog.lbbg’ folder to sdcard/Android/obb/, and have fun!